We really love to hear from our guests. Below are some Quotes or Testimonials from past travelers. Have a story you’d like to share? Please click in the button below. We just had a chat with our clients about their trip and they could not say enough good things about the entire experience!!! 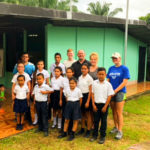 Everything worked out perfectly, all the hotels, tours were just what they wanted and working at the school project they really enjoyed. We want to thank you for all your hard work on putting this amazing trip together for them – we truly appreciate it!! 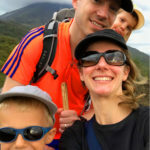 Our family had a wonderful vacation in Costa Rica over the Christmas & New Year’s Holiday. Everything was set up perfectly, the private guides were knowledgeable, accommodating and on time, the vans were clean and comfortable. We all learned so much about this beautiful and exotic country. It was very helpful to have a contact person while in the country. I had to call her once for a question and she helped me right away. 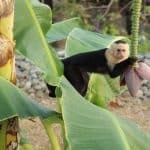 We can’t wait to go back and I will definitely be calling EcoAmerica to help create a once in a lifetime vacation in Costa Rica. I have been meaning to email you since I returned. The trip was wonderful! Very high on one of my best. Pickup went smoothly at every stop, and I can’t say enough about your land services, from airport transfers to excursions. All the guides were very professional and knowledgeable. The bus trip from Puno to Cusco was a nice comfortable ride, with great scenery and a marvelous guide onboard. We enjoyed the two Machu Picchu full day tours, the lunch at the Belmond Lodge was superb! Thank you for this opportunity and a huge thumbs up to EcoAmerica and its Lima-based operation. Just wanted to let you know that after many months of planning and two weeks of travel, we have successfully and happily knocked off a big bucket list item! Thank you so much for putting together a perfect itinerary! It was nice to gradually acclimate to the higher altitudes. You definitely channeled my princess-ness by selecting our comfortable lodging. 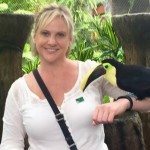 The Inkaterra lodges were fabulous! And the train ride from Cusco to Puno was amazing! Who knew 10 1/2 hours could go by so quickly! And a great way to see other parts of the country. So much better than a bus! Thanks for adding that to the itinerary! It was so nice to have someone there for us, the local tour guides were great, and felt such pride in their home towns. Thank you to all involved! We would like to add our thanks! 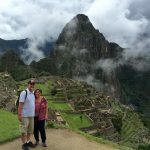 The trip fulfilled a dream that I wasn’t sure we’d ever accomplish–and it was amazing! We were impressed with how well everything went–what a lot of work went into making all those hand-offs! One thing we hadn’t planned on, but that was amazing was that we were in Peru for the Feast of the Natividad de Maria–a three day celebration there. So we were able to see parades, dancing, and amazing celebrations! Thank you so much for your help in realizing this dream. 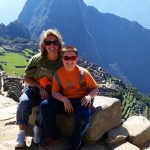 The T. family just returned, they had a wonderful time in Lima, Cusco, the Sacred Valley and Machu Picchu.. They all got home with great memories of their Peru Holiday. They loved it! I was going to reach out to say a big thank you. The trip was a complete success! We had so much fun and the memories will last a lifetime. Someone was always there to meet us coming and going. We never even had to get our own boarding passes; it was all taken care of. Galapagos was the highlight of the trip but everything else was interesting and engaging; even the tarantulas. Quito was beautiful and the middle of the world site was really eye opening and worth the time. Thank you for everything. I am so happy to tell you the girls had a fantastic time and I wanted to share with you some of what they told me. They were so impressed by the punctuality of all of the guides, transfers and tours – even checking in with them the night before to ensure they were on track. In their own words: “Overall, we had a fabulous time! 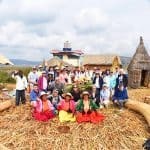 The guides were amazing, we loved Sandra in Lima, Jose Angel in Cuzco and our guide in Machu Picchu, the drive to Puno, Uros guide and the guide in Sillustani; they all were great and also gave us very good recommendations.” They were bubbling with excitement and really enjoyed the trip! Thank you so much for all of your expert help and I will absolutely call you again when I get another South America trip! We cannot thank you enough for the wonderful vacation in Costa Rica! We were surprised and delighted how smoothly everything went. Every hotel transfer and excursion was right on time as scheduled. Our room at the Mountain Paradise Hotel was spacious and clean. It had the most awesome view of the volcano which we were able to see every day. Our first tour was of the Arenal Volcano. Hiking is one of our most favorite outdoor activities so we really enjoyed the trek. Our guide Heidel (sp?) was extremely knowledgeable of the area. Our next excursion that day was to Ecotermales Hot Springs with dinner. We have been to hot springs before but never awesome ones like these with multiple pools at different temps. Dinner was great too. Next day Canyoning and waterfall rappelling were definitely a rush. I am afraid of heights but I did it! And I have the proof in pictures which was also a nice touch that the guides had done for all of us. Lunch afterwards was just the way we like it, local style. Sarapiqui River Rafting was just awesome! We are water lovers and just had a blast. Midday snack along the river was refreshing. Lunch again was local flavor great. Attica Canopy Tour was exhilarating and Horseback riding was fun. We were impressed with the professionalism and instruction from all the guides. We felt very safe during all activities which was very important to us. What was also helpful was the information we were given about each tour such as what to expect, what to wear and what to bring. Just a short note to thank you for making The Frisch’s trip to Peru so fantastic. The whole family had a great time and enjoyed the culture, friendly people and the unbelievable scenery. They had nothing but good things to say about the guides and tours. Thank you and your team for all of your efforts and I will definitely use EcoAmerica Tours again! 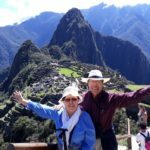 I wanted you to know that the clients I booked with you, traveling to Peru last March, had a wonderful time. Even the mother, who was apprehensive about making the trip initially, had a great time thanks to your help and support during travel. They all agreed that they would go back in a heartbeat! Thanks for your assistance with this reservation. 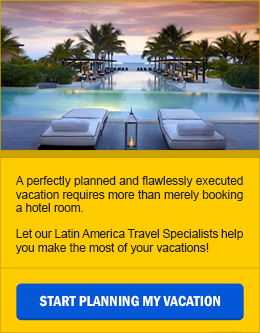 I’ll be thinking of you first for the next opportunity to book clients to South America! 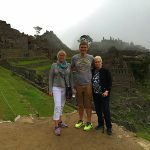 I just wanted to share my clients’ comments with you on their trip to Peru over the Christmas holiday: “Pat, first I want to say thank you. The trip was fabulous and all the hotels, transfers, and guides were great too. Overall it was a great experience.” They are well traveled and always give me input and I certainly will use your services again thanks to a job well done. Thank you Marcelo for arranging a beautiful itinerary for my group to Peru. It was full of excitement from beginning to end. The way you’ve arranged our itinerary made it easier for us to adjust with the altitude. The hotels were beautiful, especially the El Refugio Hotel in Colca and Posada del Inca Yucay Hotel in Sacred Valley. The food was exceptional, we even tried Guiney pig and Alpaca. What an interesting delicacy. You have given us the most wonderful 16 days, paid attention to detail and went beyond our expectation. Everybody raved about the trip and most importantly, you have given us the most wonderful memory of Peru. I will not hesitate to use your company again to other South America destinations in the future. Thank you for being a perfect partner. We felt very safe during all activities which was very important to us. What was also helpful was the information we were given about each tour such as what to expect, what to wear and what to bring.